The All India Management Association (AIMA) is the apex body for management in India with over 37000 members and close to 6000 corporate /institutional members through 68 Local Management Associations affiliated to it. AIMA was formed over 60 years ago and is a non-lobbying, not for profit organisation, working closely with industry, Government, academia and students, to further the cause of the management profession in India. 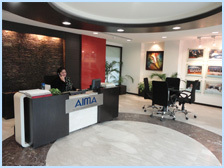 AIMA also brings to the Indian managers, the best management practices and techniques through numerous foreign collaborations with professional bodies and institutions. AIMA is a member of the Asian Association of Management Organisations (AAMO) and works closely with several international institutions like University of California – Berkeley, USA; The World Bank; St Gallen Foundation, Switzerland; The Imperial College, UK; Horasis: The Global Visions Community, Switzerland etc in organising international conferences and management development programmes.